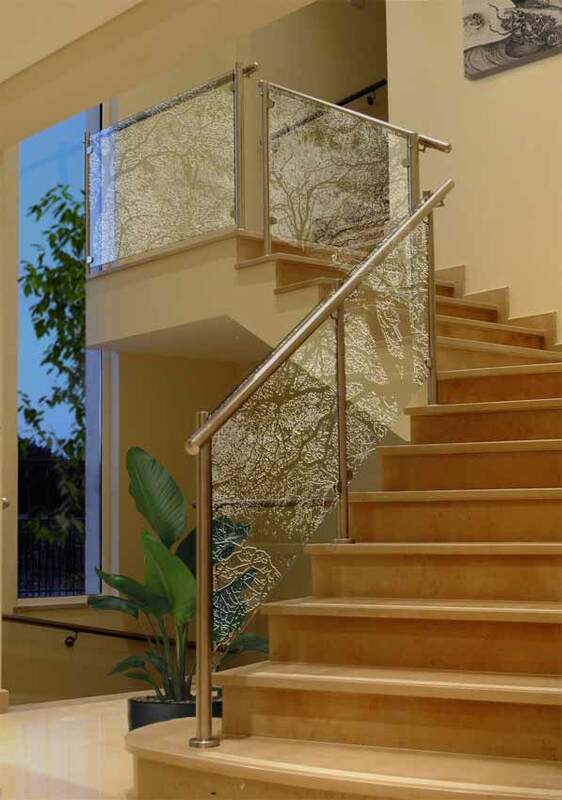 Our frosted etched Balustrade Panels create a unique decorative feature. At Clearlight Designs we sandblast the pattern into the glass. Using a new innovative technique, we can capture the most beautiful detail. The designs will never wear off as they are frosted into the glass. The changing natural light throughout the day creates different accents on the artwork, subtle changes occur in the mood of the room, and the atmosphere of the interior space is enhanced. 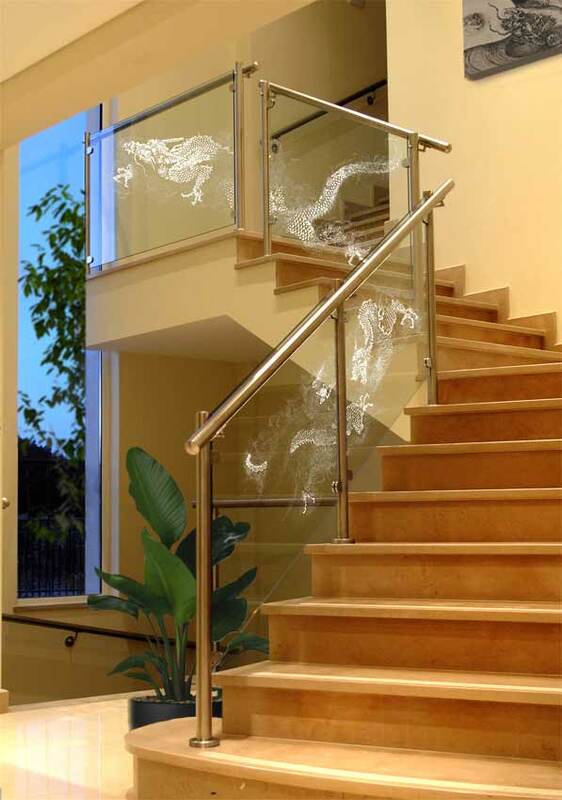 Balustrade Panels when frosted can transform a boring set of stairs or railing into a piece of artwork. Any frosted etched design can range from intricate artwork to simple, elegant designs from Victorian reproduction to Art Deco and Art Noveau. 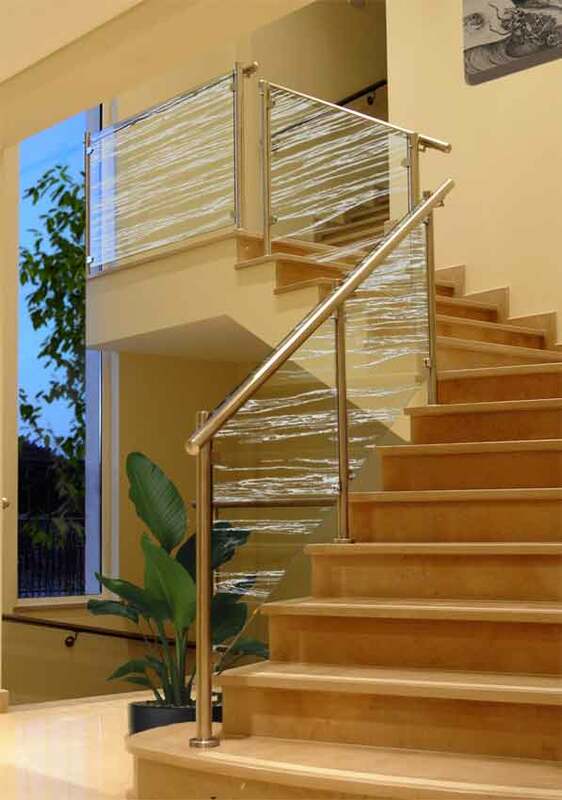 Balustrade panels can differ significantly in size and shape. Our designs can easily be adapted to fit.